It’s often been said that people in the 18th century only lived to be about 35 years old. It’s also been said that people lived longer if they kept away from doctors. 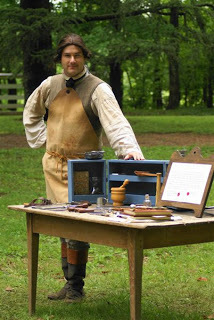 Medicine in the 1700’s was nothing like ours today. Germ theory was still over a hundred years away. Anatomy was in its infancy – religions forbade the dissection of humans, and so animals were cut up and results were extrapolated from there. (Humans were believed to have a liver shaped in distinct ‘lobes” since many animals do.) Doctors did not even yet understand that blood circulates through the human body. The belief in “bad water” had its roots in contaminated wells and springs, but was not rooted in any understanding of pollution or seeping ground water. A dead cow two miles away might be contaminating a community’s water, but no one had any way to discover this. Instead, villages held ceremonies around wells or springs that did not kill people, offering flowers and songs to bribe the spring to remain healthy. Reliably healthy water sources (think: Lourdes) developed reputations as places of healing. Certainly a person slowly dying from polluted water had a chance to recover in such a place. Most people, if they could afford it, rarely drank water. The 3-4 percent alcohol content in beer killed most of the germs, so even children drank it. And with the belief in bad water came a terror of washing. If the water was contaminated, and there was no reliable way to find out if it was, washing in it might be deadly. This kept a vicious cycle of dirt going. Belief in ‘bad air’ was probably linked to air-borne sickness, but was also a result of night-time mosquito raids. Burning herbs kept bugs at bay, and may have killed some germs. At any rate, they made people feel better, and the practice of fumigating a home with smoke was popular. It also, however, led to a terror of fresh air, a situation that was often unhealthy. Doctors of the time were still practicing “philosophical medicine.” Someone- a contemporary learned man, an ancient Greek philosopher, put forward a theory, and if it sounded good people believed it. No one had yet thought of experimenting to find out if methods worked, and the placebo effect gave enough good results that doctors continued their odd treatments. 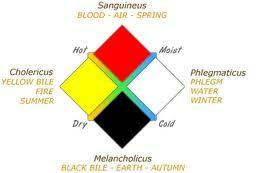 The human body was believed to run off of the interaction of four liquids, or humors. These were blood, phlegm, yellow bile and black bile. These had to exist in the proper proportions, and if they did not, the doctor would determine which was in overabundance and treat the patient to remove this humor. To this end, patients were given concoctions to cause violent vomiting or violent diarrhea. It was believed that this regulated bile. People suffering from internal parasites may have benefitted by this. Regulating phlegm was done with diet, limiting a patient to only cold food or adding certain herbs to the diet. Most famous was the practice of bleeding patients. Bleeding was so common that it was most often practiced by barbers, who also practiced as surgeons, the lowest sort of doctor. Contemporary accounts describe people who felt that it was time to be bled going to a barbershop and allowing the staff to open a vein until they bled out about a pint of blood. Then the wound was closed, the barber was paid, and the patient went about his or her business. A busy barbershop might have a trough to divert streams of blood into the street, where local dogs lapped it up. Barbers were also surgeons. They cut out tumors, removed gangrenous flesh and lopped off badly damaged or severely infected limbs. Doctors did not often get involved in this, as it wasn’t scientific. Without any form of anesthetic, the patient was tied down, plied with alcohol until he or she was blackout drunk, and then the cutting began. Getting the work done quickly minimized shock, and made it more likely the patient would survive. A doctor might treat the wound after the surgery was done, but most patients died of infection. In fact, infection was so common that the medical establishment considered “pus’ to be a stage of healing, and if a patient had a clean wound that did not produce pus, the doctor might introduce some from another patient’s “properly” healing wound to put things right. All in all, any person’s best chance of living to ripe old age involved being lucky enough to have an immune system with the ferocity of a ravening lion and to keep as far away from doctors as possible.